Last year, the Florida Department of Law Enforcement (FDLE) reports 42,889 motor vehicles were stolen across the state. “Quite often, stolen cars are not recovered and if they are, they are not without damage,” says Ellsworth Buck, Vice President of GreatFlorida Insurance, Florida’s leading independent auto insurance agency. The National Insurance Crime Bureau (NICB) released its annual Hot Wheels report identifying, the 10 most stolen vehicles in the U.S. during 2017. The NICB also breaks down their research by the top stolen cars in each state. Listed below are the vehicles and the most popular year stolen in Florida last year. Is yours a favorite among thieves? While anti-theft technology is an effective deterrent, beware of complacency. The NICB reports that thousands of vehicles continue to be stolen each year due to owner negligence. Many cars are taken because drivers leave their keys or fobs in the vehicle. According to the FBI, 25 percent of cars stolen in Florida had the keys in the ignition. If your car is stolen, take the following steps. First, determine for sure that your car has been stolen. Make sure it was not towed or borrowed by someone without them asking for permission. Once this is determined, call the police. “The police will need your vehicle identification number, VIN, which can be found on your car insurance ID card,” reminds Ellsworth Buck, Vice President of GreatFlorida Insurance, Florida’s largest independent auto insurance agency. The police will also need your license plate number, a description of the vehicle and any additional information your car may have such as GPS or telematics information. You will also need to fill out a police report, required by most insurance companies. Next, contact your insurance agent. The insurance company will walk you through the information they need to file a claim on your behalf. If you are leasing or financing the vehicle, you will need to also contact the lender. 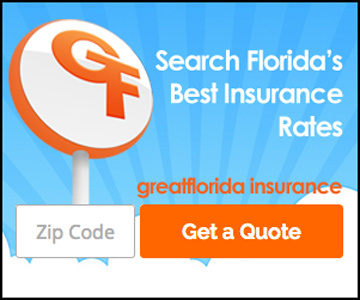 Make sure you are covered if your car is stolen with comprehensive car insurance from GreatFlorida Insurance. Contact an agent in your area today.